Facebook’s early days were incredible. Companies like Zynga, who were able to take early advantage of the social network’s viral potential, grew into multi-million dollar entities over a period of weeks. We were all new; brands and common users alike saw shares and invites as the path to virality, and for a time, it seemed to work. Week after week, the number of active daily users continued to skyrocket, and Facebook quickly became the destination of choice for businesses seeking wider audiences. That time is over. The market place is crowded with brands pushing their campaigns toward users who have become more selective about what they will share and what they will invite their friends to. “How can I make sure my Facebook app goes viral?” is the request we probably get the most. Brands love Facebook sweepstakes campaigns because their participants can invite their friends. Most app vendors still depend on the “share” and “invite your friends” options, relying on the campaign’s participants to spread the word, and brands hope that virality will increase their fan recruitment while decreasing their advertising costs. 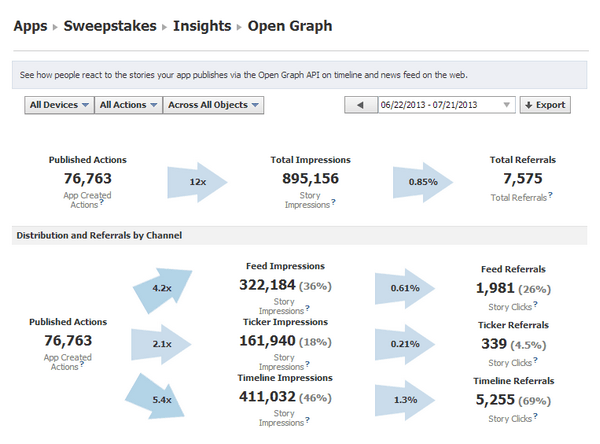 Are Sweepstakes Users Sharing Your App on Facebook? Is it Effective? The “share” option has been offered by Facebook since its inception, and for a time it was damn effective. But as Facebook became more and more crowded, Edgerank, the algorithm which decides what content gets shared to whom, allowed fewer shares of campaign participation actions to make their way through users’ Newsfeeds. Even worse, as users became more educated about Facebook, they became more selective about what they shared with their friends. Campaign invites began to plummet. And so did their reception. These metrics extracted from hundreds of Facebook sweepstakes campaigns run during the month of July on the Agorapulse platform shows the plummet of Facebook campaign shares’ performance. Caught in a downward spiral, campaign shares lost visibility and popularity as they found themselves fighting for attention. With so much content being shared on the Newsfeed, users became more selective and began to click less on these types of stories. If you had a 15-minute break and the choice between clicking on a picture of your best friend’s latest vacation photo or his participation in a sweepstakes, which one would you click? Based on the same metrics, 88% of campaign participants never click on the share button. 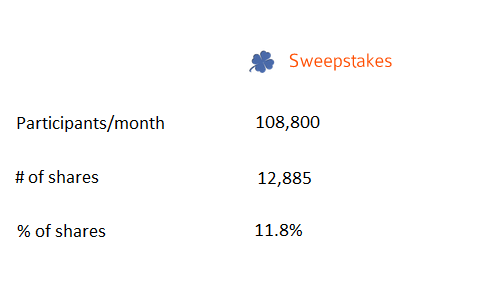 Based on the data we collected from hundreds of Facebook sweepstakes applications in June, the average entry is shared by 11.8% of the participants in a sweepstakes. That means that 88% of participants never click on the share button. 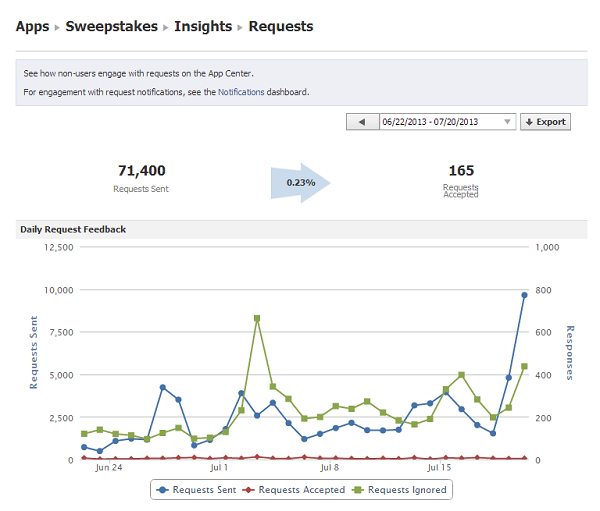 Among these 11.8% of participants’ shares, the concerned sweepstakes apps only received 1,094 clicks back (referrals). So, among 108,800 participants across hundreds of Facebook sweepstakes, only 12,885 clicked on the “share” button, and those clicks only referred 1,094 “viral” new participants. Still thinking a share button on your app is the key to virality? The landscape has changed. Are Users Really Inviting Their Friends to Your Facebook Sweepstakes? First, the invite button isn’t what it used to be. Originally, Facebook allowed users to invite all their friends in one click (we’re talking back 2010! ), this generated so much spam that Facebook now requires each invitation to be sent one by one. How many Facebook friends do you have? How willing would you be to click on all 300 of their names? Then, tired of receiving a bazillion invitations to “world of zombies! !” or “crush the candies! !” type of social games from friends, it didn’t take long before users began responding less to their buddies’ generic non-organic invitations. Facebook users don’t accept invites like they used to. Less than 0.23% of all invitations sent from a sweepstakes were accepted during that 30 day period. Staggering! Based on the same data we used to measure the effectiveness of the share feature, among 108,800 sweepstakes participants, 71,400 invitations were sent, one participant generating 0.65 invitations. Looks promising! Are you still counting on the “invite your friends” feature to help your Facebook sweepstakes go viral? “Share & Invite” Promotions are Not Effective Anymore. What Should You Do? It’s always a good idea to reward participants who bring their friends to your sweepstakes. Some vendors offer features that track who has invited who, and they use that information to reward participants who rack up more participations. But, as the Facebook campaign “share” and “invite” features are not so effective anymore, you shouldn’t use an app that relies only on these mechanisms. Let your participants use any channel they want (Twitter, Email, etc.) and keep track of the number of participating friends each participant has in the game. After all, what really matters is that a user was able to attract friends, not the channel he or she used to do so. In order to accomplish this, you’ll need to seek a vendor that requires the installation of a Facebook app. This is the only way to know who is friends with whom and track accordingly. Shares and invites don’t perform so well anymore. The recently released “frictionless sharing” based on Facebook Open Graph is much more effective. The Open Graph Frictionless Sharing feature is automatic. Frictionless sharing will not require your participants to click on a button in order to share their participation in your sweepstakes. Instead, once they have installed your Facebook app and have accepted the automatic “share” dialog, their participation will be shared automatically on their timeline as well as their friends’ Newsfeeds, and tickers. Edgerank will still determine what gets by whom, and the stories published by your app will not make it through your participants’ Newsfeed 100% of the time, but it will get there much more often. Open Graph frictionless sharing produces dramatic results compared to shares and invites. In the example above, during the same period of time as the one used to gather “shares” and “invites”, sweepstakes apps generated 76,763 “automatic shares” (instead of 12,885 with the manual option) and received 895,156 impressions (instead of 211,984) that led to 7,575 clicks (instead of 1,094). In a nutshell, OpenGraph frictionless sharing generates between 7 and 8 times more referrals than the traditional “share” feature. So the next time you choose an app to run a sweepstakes, make sure it offers Open Graph frictionless sharing options. Facebook is no longer the viral Eldorado for Sweepstakes apps. With 12% of participants sharing their participation and less than 10% of these shares leading to a click, sole reliance on the manual sharing options offered by Facebook is not the way to go. Even worse, only 0.23% of invitations are accepted by friends of participants. This will not impact your app’s virality. 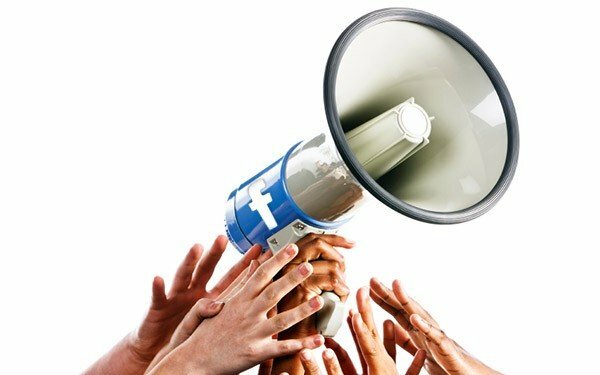 However, if you can reward your fans for getting their friends in and leverage OpenGraph frictionless sharing, you can still expect some virality from Facebook. Eldorado is gone, but done well, a Facebook sweepstakes is still going to generate many more referrals than any other traditional sweeps on the web. Your turn. What’s your experience with Facebook sweepstakes? Any feedback on the viral effect your were able to get (or not get)? Emeric Ernoult is the co-founder of AgoraPulse, a Paris and San Francisco based Facebook Marketing Software launched in 2011. AgoraPulse is currently being used by more than 8,000 Facebook Pages across 37 countries.